Formerly known as Internet Information Server, IIS was essentially created by Microsoft as an extensible web server for use with Windows NT family. Protocols supported by IIS include HTTP, HTTPS, FTP, FTPS, SMTP and NNTP, making IIS an integral part of the Windows NT family since Windows NT 4.0. The platform is not active by default however and was absent in some Windows editions such as XP Home. Microsoft’s web server first started as a research project at the European Microsoft Windows NT Academic Center (EMWAC) in Edinburgh, Scotland. However since the EMWAC server had a handicap of handling large volumes of web traffic going through Microsoft.com, the company was forced to develop its own web server IIS. - IIS 3.0 – Deployed with Service Park 2 of Windows NT.40, a new feature called Active Server Pages dynamic scripting environment was introduced. - IIS 4.0 – Released as part of the “Option Pack” for Windows NT 4.0, the new MMC-based administration was introduced. - IIS 6.0 – Included with Windows Server 2003 and Win XP Pro x64, support for IPv6 and a new worker process model that increased reliability as well as security. - IIS 7.0 – Complete redesign and rewrite of IIS shipped with Windows Vista and Server 2008. A new modular design increased performance and reduced attack surface. Other features such as simpler site deploys using hierarchical configuration system, new command line management and support for .NET Framework were also introduced. IIS 7.0 on Vista does not limit the number of allowed connection requests as seen in Windows XP. Concurrent requests are limited to 10 in Vista Ultimate, Business and Enterprise Editions or 3 in Vista Home Premium. - IIS 7.5 – WebDAV and FTP modules were improved in this version as well as command-line administration in PowerShell. Support for TLS 1.1, TLS 1.2, and Best Practices Analyser tool and process isolation for application pools were introduced. - IIS 8.0 – This version is only available in Windows Server 2012 and Windows 8. Several new features such as Application Initialization, Centralized SSL certificate, SNI (binding SSL to hostnames rather than IP addresses) and multicore scaling on NUMA hardware were introduced. 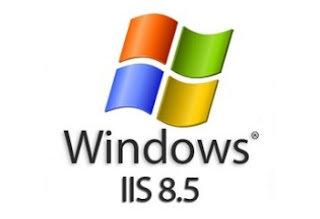 - IIS 8.5 – Shipped with Windows Server 2012 and Windows 8.1, this version includes Dynamic Site Activation, Idle worker-Process page-out, Enhanced Logging, ETW logging and Automatic Certificate Rebind. - IIS 10 – The latest version of IIS comes with Windows Server 2016 and Windows 10 with support for HTTP/2. All versions of Microsoft IIS prior to 7.0 running on client operating systems support only 10 simultaneous connections and a single website. Building on from our WindowsServer 2012 R2 installation, this chapter will explore the processes involved to install and IIS 8.5 server which may be used for hosting websites running applications. 1. Begin by launching Server manager > Click Manage > Add Roles and Features. 2. Read the installation wizard information and click Next. 3. Select the Role-based or feature-based installation and Click Next. 4. Select you destination server, should be the only option available in the windows and click Next. 5. Select Web Server (IIS) in the server roles windows and click Next. 6. You’ll get a prompt about other features or tools required to run Web Server (IIS). Add Features and Click Next. 7. Leave default selections under Features and Click Next. 8. Read about the enhanced functions available in IIS 8.5 and click Next. 9. Leave default settings under Role Services and click Next. 10. Confirm the installation selections and click Install. 11. Once installation is complete, clock Close to Finish. 12. Notice the IIS server which now shows up in Server Manager Dashboard. 13. Now we have our IIS server installed, we can proceed with basic configuration of the server. To do this Click on Tools > Select Internet Information Services (IIS) Manager. 14. The IIS Manager interface should launch with a Start Page and information about the server. 15. Expand the server tree to reveal features and information displayed in the panel. Spend some time to familiarize yourself with the Home interface as we dive deeper into IIS configurations in later lessons. 16. Click on Sites and locate Add Website on the right pane. A pop up window will appear where your very first site will be created and managed. Well done for installing your first IIS Server in Windows Server 2012 R2 and hopefully, the origins of the program along with its variations over the years are more familiar after walking through this article. Join us again as we go further with IIS advanced configurations and how to take advantage of some of the new features introduced in IIS 8.5. Thank you for investing your time with us.